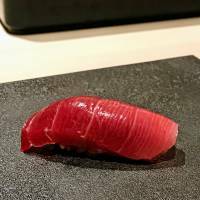 What makes outstanding sushi? Superb seafood, obviously, along with an understanding of how to balance it with the shari (sushi rice). Technique and timing are essential, too. 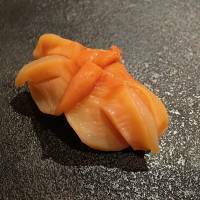 But there’s a further dimension, a “plus alpha” that separates the very finest sushi experience from the merely excellent. Inevitably this is subjective — the demeanor and focus of the chef; your sense of anticipation as you arrive; and your satisfaction as you leave. It all boils down to one factor: Does it feel special? Hakkoku certainly does. Chef Hiroyuki Sato’s new restaurant, which opened in early February, has been a long time in the making. 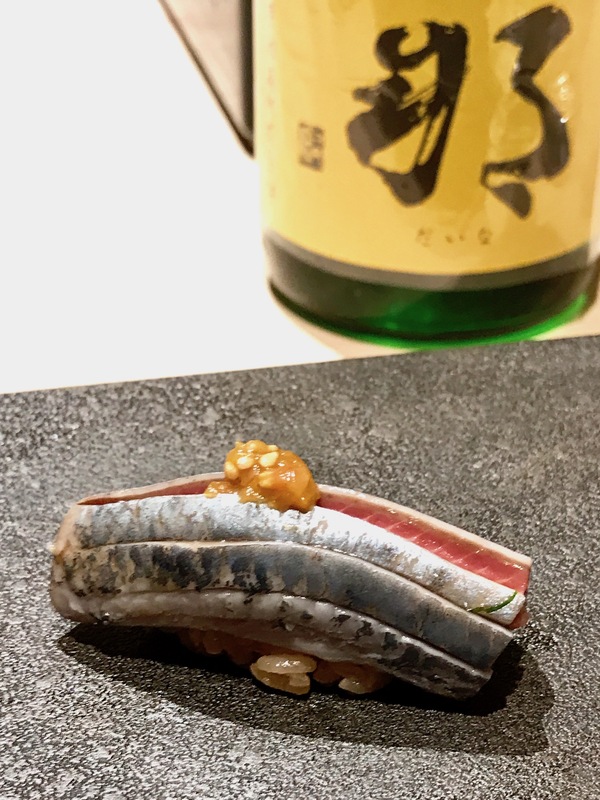 Ten months have elapsed since Sato left Sushi Tokami, the sushiya where he announced himself to the world five years ago, winning a Michelin star and admirers both at home and abroad. Not that he’s been idle in the interim. A series of pop-ups and collaborations kept him in the spotlight and served to drip-feed anticipation for his next move. With Hakkoku, he more than lives up to those expectations. First, it looks spectacular. The interior, by design studio Simplicity, is spacious and serene. It is divided into three separate chambers, each enclosed by shōji screens covered with washi paper, filling them with diffused light. Compared to his somber, seen-better-days basement digs at Tokami, the contrast could hardly be greater. Currently, only two of those spaces are in use. Sato presides at the main counter; the smaller side room is for his sous-chef (and where lunch is served). 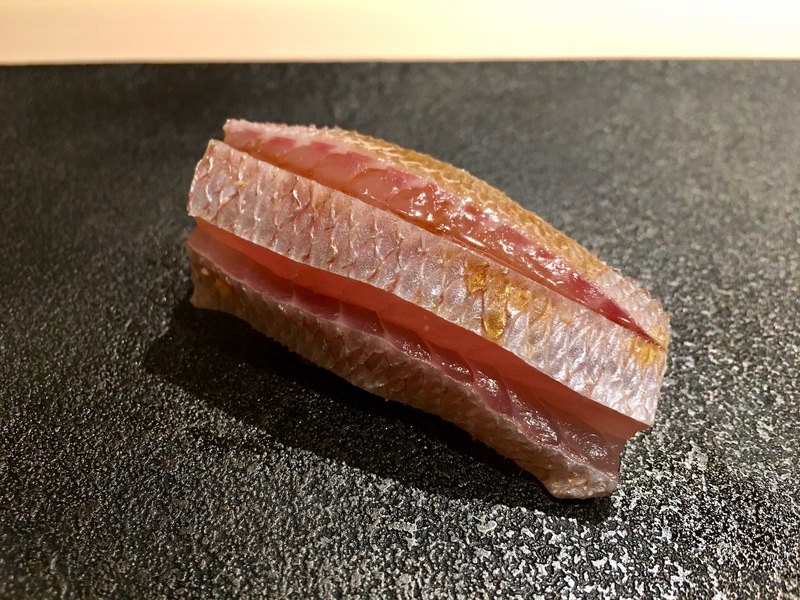 Each seats just six people, making Hakkoku one of the most hands-on, exclusive restaurants in Tokyo of any genre. 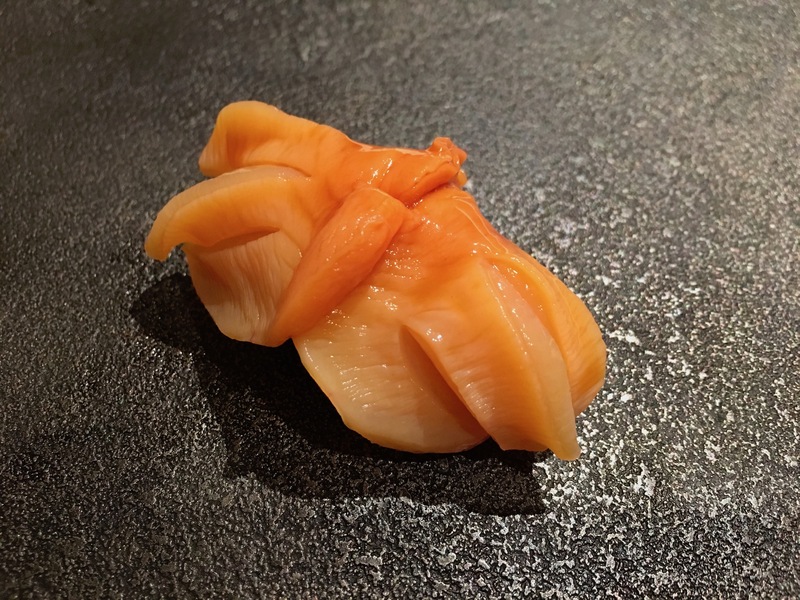 All this begs the question: Does Sato’s sushi live up to this rarefied setting? Without a shadow of a doubt. 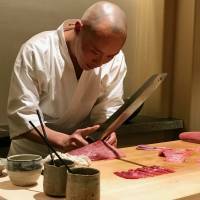 Anyone who ate at Tokami during his tenure knows Sato has always had access to some of the finest seafood and the techniques to make optimum use of it. Those skills are on display from the outset. 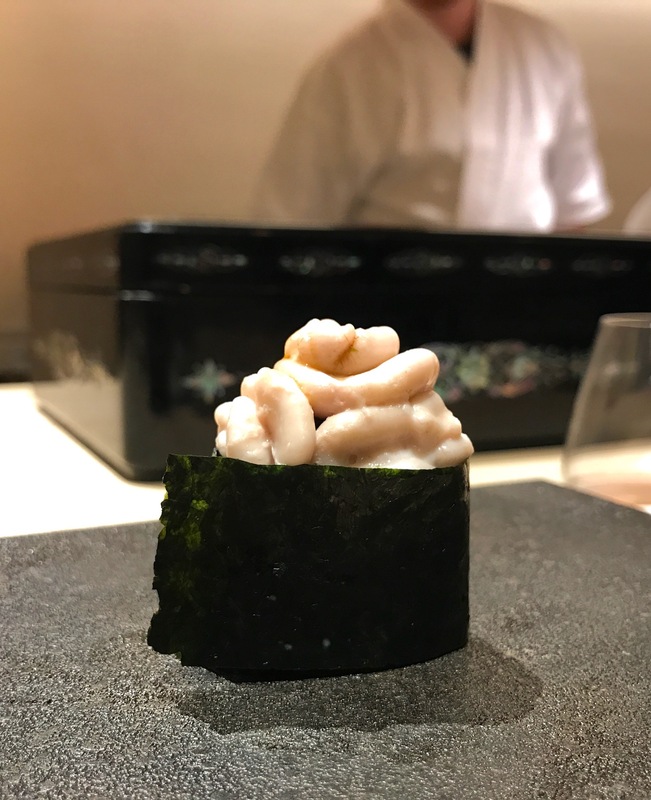 As before, he welcomes you with his signature tossaki nori roll, filled with coarsely chopped tuna taken from the base of the fish’s head and paired with his trademark akazu (red vinegar) shari. Whether it’s the setting, or the year-long gap since he served it last, the taste is better than ever. 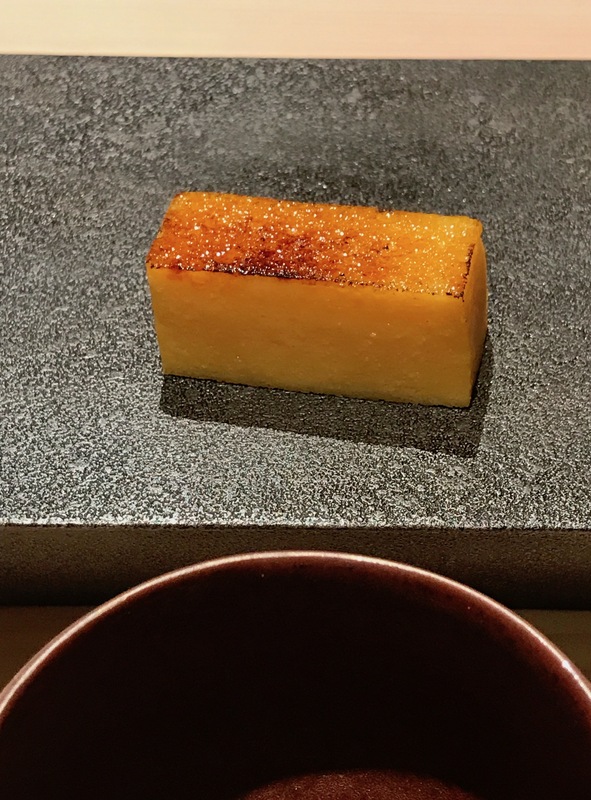 The rest of the Hakkoku tasting menu, though, is significantly different. 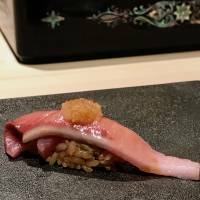 Initially, Sato is not serving sashimi or other otsumami (appetizers). 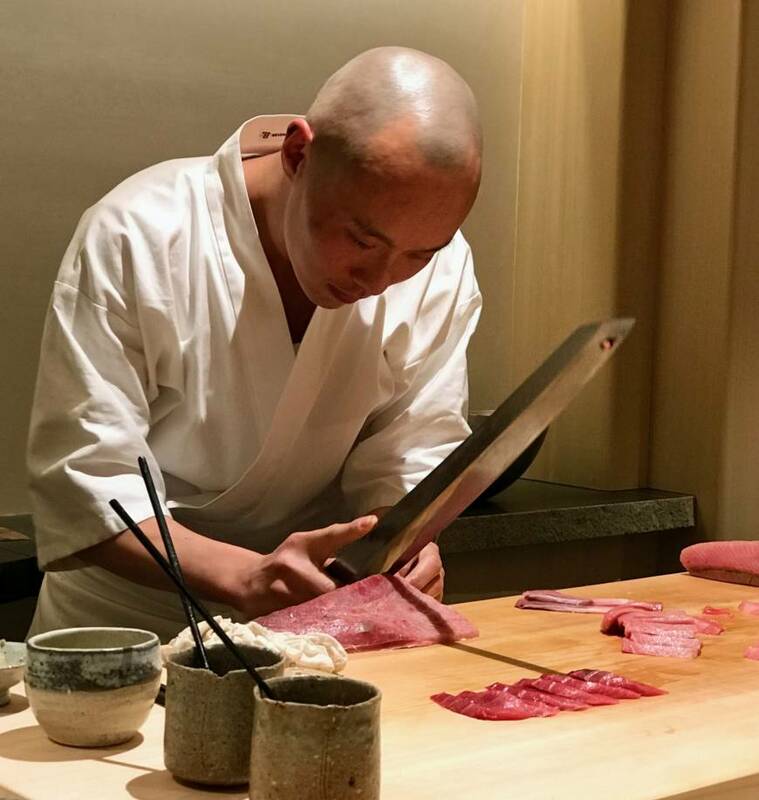 Instead, he is putting together a magnum opus of nigiri and maki sushi — more than 30 pieces, all of them great, some sublime. 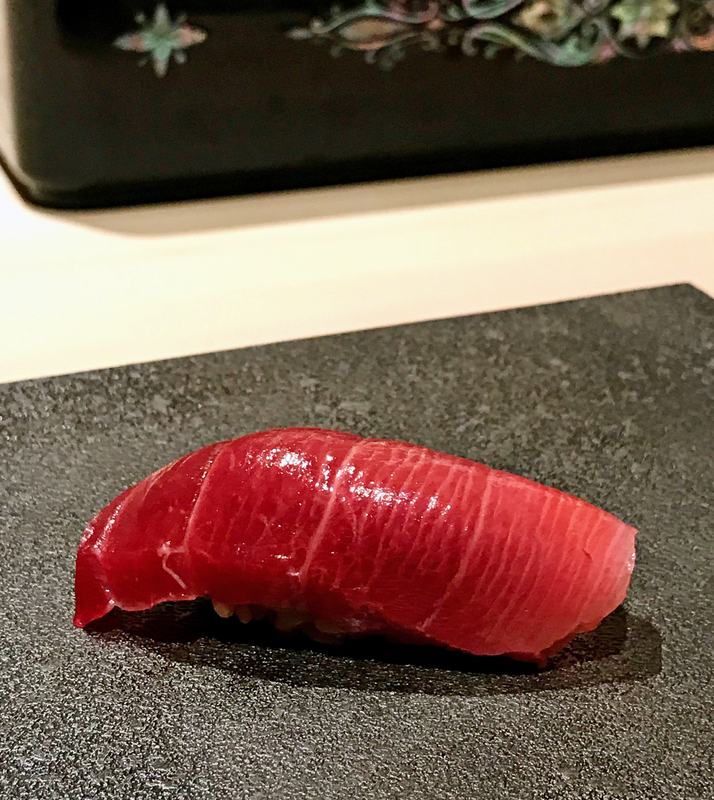 Among the highlights is the flight of contrasting tuna cuts, in which the brilliant akami (lean red meat) is by no means overshadowed by the fattier, more luxurious parts; the humbler blue fish, sardine and kohada (gizzard shad); and the sweet-succulent anago (broiled conger) that helps close the meal. The only low points are the vegetable dishes introduced as palate cleansers. In such a substantial dinner, dishes subtler than blanched onion, raw kale and bell peppers are required. It’s still very early days at Hakkoku. 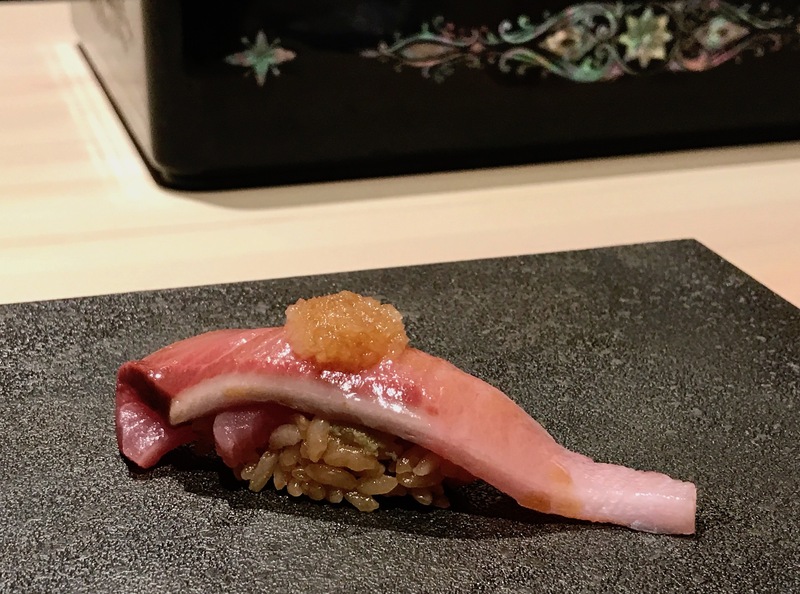 But it’s already clear that Sato is not just content to serve superlative sushi; his aim is to take the genre to the next level. 11:30 a.m.-2:30 p.m., 5-11 p.m.